If ever there was an ideal year to wear your politics on your sleeve for Halloween, this one would be it. The presidential election is proving to be more insane than anyone could have predicted, and it’s clear that we need feminism more than ever. 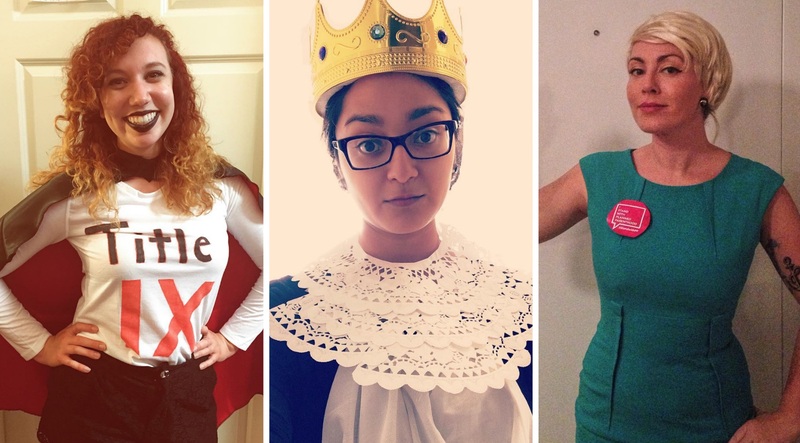 That’s why we’re proud to bring you these easy-to-DIY feminist Halloween costumes! From labor rights icon Dolores Huerta to feminist fave Rosie the Riveter, these costumes will have you happily digging around at Goodwill and dressed up for work/school/a party that needs an injection of feminism in no time. 1. Political activist, scholar, and author Angela Davis. Women’s studies students will be intimately familiar with Davis’ classic Women, Race and Class (and if you haven’t yet read it, add it to your holiday wish list!). All you really need for this costume is a turtleneck (Davis was a frequent wearer in the ’70s) and a fierce fist. 2. President of Planned Parenthood, Cecile Richards. In 2015, Richards testified before the the House Oversight and Government Reform Committee for more than four hours, rebutting accusations that Planned Parenthood had sold fetal tissue for profit. Richards was a total reproductive health hero that year — and continues to be! — so pull on a blue dress and blonde bob wig, and dress up as this incredible woman for Halloween. 3. Aviation pioneer Amelia Earhart. Air travel enthusiasts will appreciate this one. Pick up a sherpa-lined hat and leather jacket — and those pilot-style goggles if you can find them! Everyone who has one will tell you the IUD is a true American hero. Pay tribute with this costume, using some paper towel rolls and a little creativity. 5. Democratic presidential nominee Hillary Clinton. Are you #WithHer? Then you’ll be totally into this costume, inspired by the amazing viral photo of Clinton browsing on her phone that circulated in 2011. A black suit, some blue beads, shades, and — of course — your phone are all you need for this ensemble. 6. Comic book hero Ms. Marvel, aka Kamala Khan. This teenage Pakistani American crime-fighter makes the perfect Halloween costume for any feminist comic book nerd (plus you can use it year-round if you’re a cosplayer). It’ll take a little crafting, but you can easily find red tights, a long-sleeved red shirt, and a blue dress, you’ll just have to add a little yellow fabric (or even yellow duct tape!) for Kamala’s signature lightning bolt. 7. Supreme Court Justice Ruth Bader Ginsburg. Despite some ugly recent remarks (which she sort of took back) about Black Lives Matter activist and NFL player Colin Kaepernick kneeling on the football field during the national anthem, we still admire the work RBG has done throughout her career to advance justice and equality. Doilies, a black robe, and a pair of wire-rim glasses round out this look. 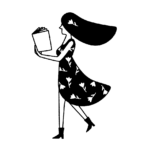 This costume is a feminist standby for a reason: It represents women’s incredible strength and drive to succeed. A simple denim-on-denim look, along with a red bandana and that fabulous hair, is all it takes to pull off this costume. 9. Tennis legend Billie Jean King. Pull out your tennis dress and your racket (or find them cheap at Goodwill!)! Your baby will be a social media hit in this easy costume. And oh yeah, you can also be Billie Jean if you want to! 10. A member of the Pawnee Goddesses. Take your Parks and Recreation fandom to the next level and dress up as one of the most empowered young women in Pawnee, Indiana — a member of Leslie Knope’s famed Pawnee Goddesses! DIY this costume however you’d like — just be sure to paint “Title IX” somewhere on your body (and add a cape, if you’re so inclined!). 12. Labor rights activist Dolores Huerta. A co-founder of the United Farm Workers union, Huerta has long fought for better pay and working conditions for farmworkers in the U.S. She famously held this “Huelga” sign at a 1965 grape-farmer strike. A white sweatshirt, dark pants, and a badass sign are all you need for this costume. A costume for feminists of all ages, this goddess of feminist art and expression continues to inspire generations. Use any of Frida’s self-portraits as inspiration for your ensemble. Whether you’re a fan of Elizabeth Cady Stanton, Sojourner Truth, Susan B. Anthony, or another suffrage activist, don your turn-of-the-century best and get out the vote!